More than 2,250 student leaders gathered for the second Leadworthy Live event to learn we all have a story to write – and the importance of making it a good one. 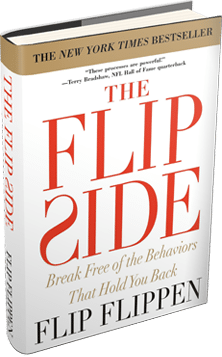 On March 7, 2018, New York Times best-selling author, Flip Flippen, joined with other special guests to charge these young leaders to live remarkable lives. Students from across the country gathered in the Verizon Theatre in Grand Prairie, Texas to imagine the possibility of making a lasting difference in their communities. Flippen established LeadWorthy as an initiative with a goal of encouraging students to pursue excellence in their relationships, leadership positions, and future careers. LeadWorthy is building a generation of remarkable leaders! Flip inspired participants to be bold enough to rewrite their life stories. Entrepreneurial illusionist, Vinh Giang, and Guinness World Record holder, Gabi Ury, captivated students with personal and sometimes humorous messages to be deliberate in setting and reaching goals. And energizing performances from Courtnie Ramirez (NBC’s The Voice contestant) and two stomp teams (the 5th Ward Men of Distinction and Sisters of Distinction) founded by Dallas DJ, Rock-T, brought the audience to its feet! Students departed with a farewell challenge to #BeRemarkable in all walks of life. The third LeadWorthy Live event will take place in Houston, Texas in November 2018.